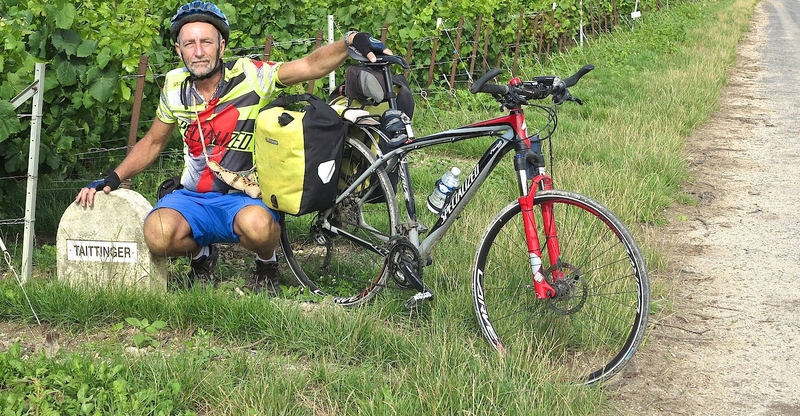 Interview with writer and cyclotourist Emilio Rigatti who tells about his passion for the bicycle and describes the peculiarities of the Collio region. The main Italian event of the European project My Sport is Franja is the bike tour La Mia Bici, La Mia Cultura, Il Mio Collio. Rigatti will be at the tour and on the eve of the tour he will be a guest at the discussion about cycling. When and how did your passion for bike tourism start? You who have traveled a lot and visited several places can you tell us in what Collio differs from other places? In other words what are its peculiarities? What trip you remember most with pleasure and why? Turn the pedals and write with the pen (now the keyboard). Two seemingly opposing activities. Are there any points in common? How do you combine the passion of teaching with that of travel? You work every day with new generations. In a world dominated by video games and social networks, how is the bicycle nowadays perceived? Can you give three reasons for cycling and three reasons to visit Collio? ,,For the first I have no doubt: health in all senses, adventure, knowledge. For Collio three keywords: borderland, wine, cycling beauty. I look forward to the climbs of Collio.